1. See the big picture. You may be taking drugs prescribed by more than one doctor, as well as over-the-counter medications, vitamins or supplements. However, some drugs can interact with each other to create dangerous or even deadly side effects. Next time you go to the pharmacy, bring a list of everything you take, including herbal supplements. Your pharmacist can let you know if there are any combinations you should avoid. 2. Ask questions. You should always get the particulars about the prescription you’re about to fill. And don’t be shy: your pharmacist is an excellent resource about a variety of medications, from over-the-counter drugs such as cough syrup or a decongestant to a medication you or a family member takes that you’re curious about. He or she can tell you optimal times of day to take a certain prescription, whether you should avoid alcohol while taking a drug or what ingredients in an over-the-counter drug are the best match for your symptoms. 3. Manage side effects. Many medications create unpleasant side effects, such as drowsiness, constipation or heartburn. Your pharmacist can help find solutions. Something as easy as taking the drug at a different time of day can make a big difference in how you feel. But you won’t know if you don’t ask. 4. Offer health advice. 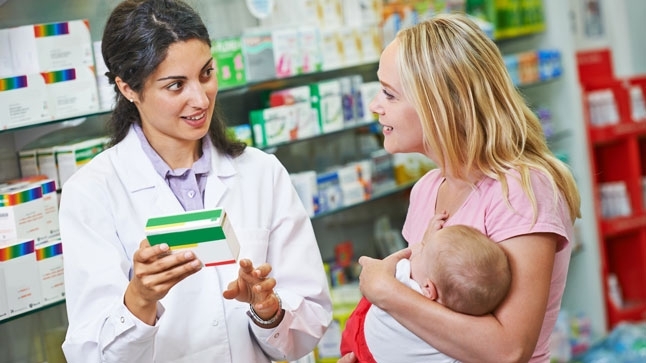 Pharmacists aren’t just in the prescription business – their job is to keep you healthy. They can offer advice about a variety of health issues, such as managing type 2 diabetes or helping you choose smoking cessation products. 5. Save you money. Medications can be expensive. Pharmacists can help you compare prices and can often suggest generic options or less expensive alternatives for the drugs you take, including both prescription and over-the-counter medications. Find a UCLA Pharmacy or call 310-206-3784 for more information.